A two day Global Biotechnology Summit on “Destination India” will be held on 5th & 6th February 2016 at Vigyan Bhawan, New Delhi. The event would showcase India’s Biotechnology strength and capacity. It would provide an opportunity to bring together all stakeholders to discuss opportunities, collaborations and to prepare a joint action plan for achieving the target of 100 billion US dollars for the Biotech sector by 2020. The Summit will be held as a run up to the Department of Biotechnology (DBT) celebrating its 30th Foundation Day on 26th February, 2016. The last 30th years, after the Department can into existence in 1986, have been crucial for the growth of Life Sciences and Biotechnology in the Country and DBT’s impact has been both national and global. To mark this event, a series of scientific activities including town-hall lectures, debates and other interactions with eminent scientists as well as overseas experts were organized in association with various autonomous institutes and star colleges. Contributions of key stakeholders – Individuals, Institutions (including Universities), Industry and Society are being show cased to mark the occasion. The Department is also making efforts to spread the message across the country and internationally on the impact which Life Sciences and Biotechnology have made on society. It also feels that this is an occasion to explore new opportunities and build new partnerships. The Summit would also help attract investors and other key partners to invest in the biotech sector in India, in response to the call given by the Prime Minister Shri Narendra Modi for Make in India and for encouragement of the start-up ecosystem with a potential for scale-up. It would broadly focus on the priority themes - Make in India, Nurturing Bio entrepreneurship, Skill India, Biotech opportunities and action for Swachh Bharat and Swasth Bharat. Biotechnology cooperation, Biotechnology Innovation for inclusive development, Biotechnology and Society or other topics scheduled for panel discussions at Plenary talks during this Summit. These discussions are expected to help to align the goals of the biotech strategy with policies of State Governments and to prepare joint action plans. It will also help to create exciting opportunities for students and researchers by giving them an exposure to the best experts in the field. 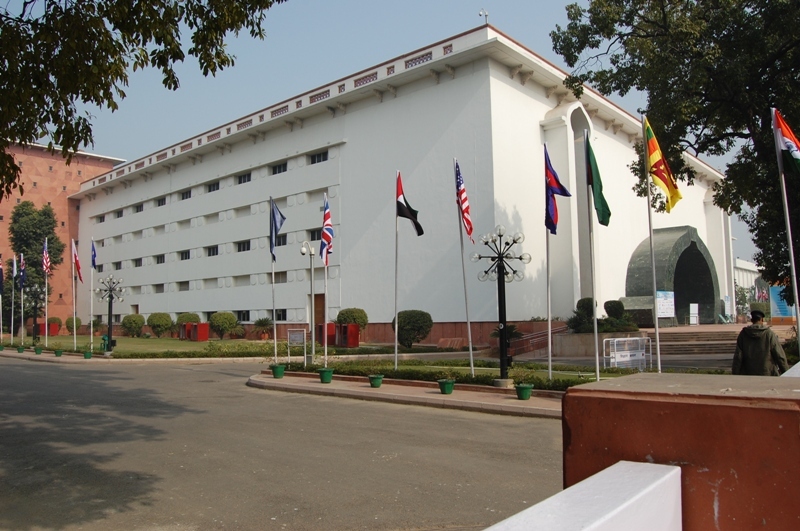 About 1200-1500 participants are expected to attend the event including eminent scientists from national and international public and private sector organizations and universities. Delegations from State Governments, representatives and delegations from other countries with which DBT partners, students, research fellows, Biotech Start-up Entrepreneurs, policy-makers, Civil society and other stakeholders are to be the participants. In addition all DBT ex-secretaries would be present. The Union Minister of Science & Technology and Earth Sciences Dr. Harsh Vardhan made a fervent appeal to the scientific community to synergize professionally to make India achieve a superpower status in the field of scientific research. Dr. Harsh Vardhan was addressing a gathering of scientists and students at the Agharkar Research Institute in Pune today. 'Bigger dreams are more productive than big labs', said Dr Harsh Vardhan. 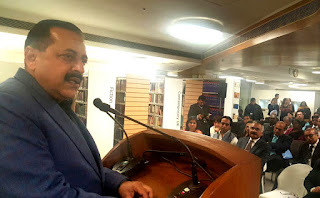 Citing the examples of Sir JC Bose, Sir CV Raman, Dr Meghnad Saha and others, Dr Harsh Vardhan made a mention of the great achievements of Indians in the past. 'Now we have state-of-the-art laboratories and we need to work in coordination,' said Dr Harsh Vardhan. Dr. Harsh Vardhan pointed out that India ranked third in the world in nanotechnology research and sixth in papers published. This, he said, could be bettered with synergistic efforts between scientists. Dr. Harsh Vardhan highlighted the fact that various research institutes were working on similar areas at different levels of achievements but there needed to be coordination and cooperation between them. 'Development of technology of social relevance and welfare is more relevant than just developing and patenting it,' said Dr Harsh Vardhan. He elaborated his point by citing how Sir Bose made the crescograph available to the society instead of patenting it. Citing the example of the success of the polio vaccine campaign in India, Dr Harsh Vardhan said that he first conceived the idea in 1993 and it was successfully implemented in Delhi and later received support in Pune. 'With the start-up culture being supported by the Government of India, this was the most opportune time to conceive and execute technologies of social relevance,' said Dr Harsh Vardhan. Dr. Harsh Vardhan appreciated the contributions made by the late Prof. SP Agharkar, the founder-director of ARI, in establishing the Maharashtra Association for the Cultivation of Science. At ARI, Dr Harsh Vardhan visited the research facilities and took keen interest in its research achievements. Dr DR Bapat, President, MACS in his presidential remarks mentioned how the coordinated projects in agriculture had improved the crop production in India. The Union Minister for Science & Technology & Earth Sciences, Dr Harsh Vardhan, inaugurated a unique MAGIC [Modular, Agile, Intensified & Continuous] Process Lab at CSIR-National Chemical Laboratory (CSIR-NCL) Pune last evening. While inaugurating the facility he announced that “The MAGIC processes and plants will bring about a paradigm shift in the way in which India’s Fine and Specialty Chemicals industry will operate in the future. Over the past three decades, the global fine and specialty chemicals industry has shifted manufacturing base from the western world to countries like India and China. The MAGIC processes developed in CSIR-NCL can radically change currently practiced process technologies into modern processes that are cleaner, greener, safer, compact, scalable and economical. As a result, the MAGIC processes have the potential to transform the country into a global powerhouse in this important sector, thus enabling the country to increase its contribution to global production of chemicals from the current levels of 3 to 5% over the next few years.”He consequently called upon the Indian chemical Industry to work closely with this National facility to realize this goal. Dr Harsh Vardhan interacted with the leadership of CSIR-NCL in the morning. Dr. Girish Sahani, DG-CSIR initially briefed the Minister of all the new programmes initiated by the CSIR for the benefit of the country. Welcoming the Hon’ble Minister, Dr Vijayamohanan, Director, CSIR-NCL, said that CSIR-NCL is strongly committed to using its strengths in sciences and engineering to deliver impact making technologies. Giving a brief overview of the history since its inception in 1950 and some of the recent achievements of the laboratory, Dr. Vivek Ranade, Deputy Director, CSIR-NCL mentioned that the focus of CSIR-NCL is to explore chemical and related sciences at the most fundamental level while at the same time it will continue to translate new and known science innovatively to applications in industry and society. While addressing the staff at CSIR-NCL, Dr Harsh Vardhan commended CSIR-NCL’s efforts in providing effective solutions to key problems of national relevance. He extolled the laboratory for its enormous contributions to the growth of Indian chemical and allied industries in the areas of dyestuff, agrochemicals, pesticides, pharmaceuticals, fine and specialty chemicals, catalyst and tissue culture. He further added that the laboratory has set global standards by licensing patents and technologies to large multinational companies such as General Electric, Sabic, Solvay, DuPont and Celanese. He lauded CSIR-NCL’s performance in consistently filing the largest number of patents among all Indian academic and industrial R&D organizations, and publishing the second largest number of papers in peer reviewed international scientific journals of repute in the country. However, the Minister cautioned the CSIR-NCL staff by saying that though past contributions are important, scientists should constantly endeavor to think out-of-the-box and innovate. He emphasized that scientists should pursue new research areas which could meet the country’s needs as well as put her ahead in selected technology domains. The exhibition in the MAGIC Lab displayed the products and processes developed under the MAGIC program. The Minister saw various chemical products and processes for key reactions like nitration, diazotization, alkylation, esterification and hydrogenation carried out in the MAGIC reactors. Many of these processes have been translated to industry and are at various stages of commercialization. This would lead to significant benefits for small and medium scale chemical industries across India in terms of profitability and environmental impact. The products developed under the MAGIC program such as intensified metallic reactors (commercialized by Amar Equipment), tubular glass lined reactors (developed in collaboration with GMM Pfaudler) and reaction calorimeter were also displayed. The Minister lauded these efforts as being truly globally competitive and reflecting Government’s ‘Make in India’ and ‘Innovate India’ spirit. The Minister also visited stalls that exhibited industrial scale process technologies developed and licensed by CSIR-NCL. These included MAGIC lab, ENSEL technology, a globally competitive technology for manufacturing biodiesel using heterogeneous catalyst which has been licensed to Benefuel LLC (an American company). The recipient of CSIR Technology Award of 2015, ENSEL is CSIR-NCL’s breakthrough double-edged technology for transesterification of seed oils and etherification of glycerin. Another technology on display was a low pressure process for manufacturing para-amino phenol, a key ingredient of the generic drug, paracetamol. A new and first of its kind unique process for dimethyl carbonate using a homogenous catalyst developed under the NMITLI (new millennium Indian technology leadership initiative) program of CSIR in collaboration with IIT Mumbai and Deepak Fertilizers and Petrochemicals Ltd (DFPCL) was also on display. In the exhibition set up at the Polymers and Advanced Materials Laboratory, Dr. Harsh Vardhan witnessed a live demonstration of indigenously developed 1 kW Polymer Electrolyte Membrane Fuel Cell (PEMFC) system, a clean energy generation device developed by CSIR in partnership with industry for applications in back-up power supply for telecom towers (with Reliance Industry Ltd), residential and small office spaces (with Thermax) and transportation sector (with KPIT and TVS Motors). He remarked that the PEMFC technology is in line with India’s commitment to the recently concluded COP21 Paris agreement and that licensing of technology for making components of PEMFC to SMEs is in the true spirit of Prime Minister’s ‘Make in India’ initiative. Dr. Harsh Vardhan showed special interest in the stall that displayed CSIR-NCL’s contributions to the area of affordable healthcare such as development of life saving drugs Amlodipine besylate and Asomex, which have been commercialized by Emcure, development of porous polyethylene implants for reconstructive surgery of maxillofacial bones, which is commercialized by BioPore Surgicals, development of novel resorbable silk-based bone graft implants, bone fixation screws and membrane based oxygen-enriched air generation system, which are licensed to start-up companies created by CSIR-NCL scientists, and the novel expandable biliary stents being developed in collaboration with a biotech start-up company. Dr. Harsh Vardhan lauded CSIR-NCL’s efforts in developing ultrafiltration based water purification technologies for making affordable potable water, which have been licensed to Membrane Filters India Ltd and Technorbital Pvt. Ltd. He showed special interest in ‘Jaldoot’ which supply potable water at the doorsteps of houses in many villages in Maharashtra. It also delivered potable water to villages hit by natural calamities such as the devastating cyclone in Orissa in November 1999, earth-quake affected areas in Gujarat, floods and landslides in Uttarakhand in 2014 and floods in Chennai in 2015. Dr Harsh Vardhan also visited the stall showing CSIR-NCL’s efforts in skill development and outreach activities. The laboratory offers 80 PhD degrees every year in important research areas such as healthcare, energy, drinking water, environment, crop and nutrition and strategic sectors. CSIR-NCL also offers specialized technical training programs to industry personnel. The laboratory has trained as many as 2000 young engineers and scientists working in areas of polyolefins, engineering plastics, fine and specialty chemicals, etc. The Minister praised CSIR-NCL’s outreach activities through its Exciting Science Group in which scientists from the laboratory interact with students from Government and Municipal schools and demonstrate to them how chemistry is important in every walk of life. The goal of this activity is to nurture a spirit of inquiry, creativity and love for Science and Mathematics among school children, which is in sync with the goals of the “Rashtriya Avishkar Abhiyan”. Some of the school students who were mentored by scientists and research students of CSIR-NCL have gone on to win prizes in various Olympiads and National Science Fairs. Dr Harsh Vardhan appreciated the activities of Venture Center, which is CSIR-NCL’s technology business incubator. NCL was the first CSIR laboratory to establish an incubation center for creating and nurturing start-up companies. NCL Venture Center is today India’s largest scientific business incubator with 36 start-up companies housed in its facilities. The Minister remarked that translation of NCL’s science through entrepreneurial ventures is an excellent example of the Prime Minister’s recently launched ‘Start-Up India’ initiative. He hoped that CSIR-NCL and NCL Venture Center can together enable and hand hold ‘Start-Up India’ movement in CSIR and elsewhere. The Minister reviewed the activities of CSIR’s Unit for Research and Development of Information Products (CSIR-URDIP) and expressed the happiness on the progress made in the area of patent Informatics and felt that each scientific agency should make use of patent informatics for picking the winners from portfolio of R&D projects. He was happy to see the use of modern computational and analytical tools to drive the drug discovery from leads obtained through traditional knowledge. He appreciated the information infrastructure being created by CSIR-URDIP through repositories and portals which help to establish research communities and networks. He lauded the spirit of Intrapreneurship prevailing in the institute. CSIR - National Chemical Laboratory (http://www.ncl-india.org), Pune India is a research, development and consulting organization with a focus on chemicals and materials. It has a successful record of research partnership with industry. NCL is a flagship laboratory of the Council of Scientific & Industrial Research (CSIR, http://www.csir.res.in) which is the largest network of publicly funded research institute in India. The NCL Venture Center (www.venturecenter.co.in) is a non-profit technology business incubator hosted by the National Chemical Laboratory, Pune, India.